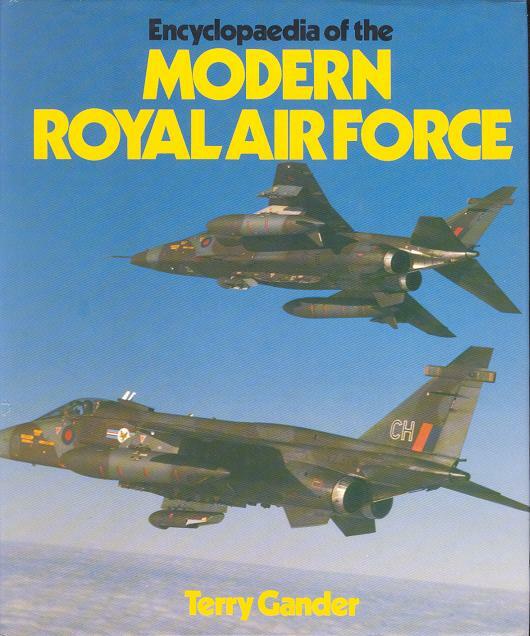 Encyclopaedia of the Modern Royal Air Force. Gander, Terry. Patrick Stephens Limited, 1984. 1st Edition. ISBN: 0850596009. 248 pages. 8vo. 890g. Black cloth boards FINE in a FINE d/w. Illustrated with b/w photographs and line drawings. Begins with a brief history of the RAF since 1945, then describes the current organisation of its 3 commands, Strike, Support & RAF Germany.